Former Smiths rocker Morrissey was taken to the hospital in England late Saturday evening after collapsing on stage. Former Smiths rocker Morrissey was released from a hospital in England today after collapsing on stage just one song into his concert set in the town of Swindon. The 50-year-old singer fell when he was performing his opening song, "The Charming Man," Saturday night and band members dragged him off stage, the British newspaper The Guardian reported. The rocker was "straining" to perform the song before his knees buckled and he fell to the stage, fans said. He was initially picked up for "respiratory problems" and was reported to be unconscious, according to a spokeswoman for the Great Western Ambulance Service. 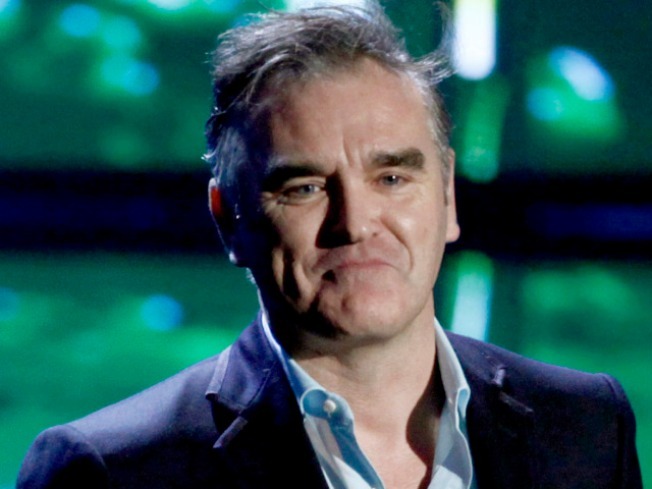 Morrissey was found to be "conscious," the spokeswoman said. Morrissey was the mastermind behind the Smiths' string of rock hits from as early as the 1980s. The rocker has been touring North America and Europe since the February release of his latest album, "Year of Refusal."